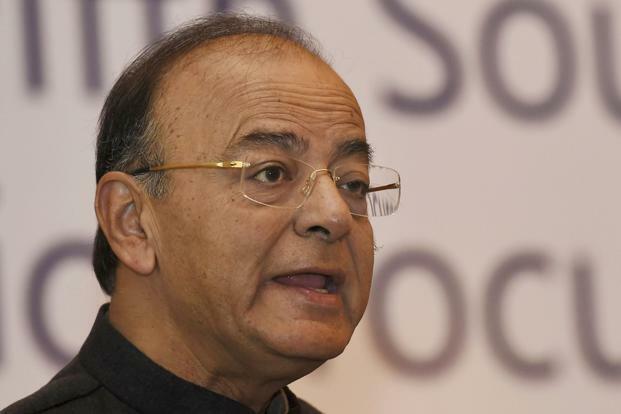 New Delhi: Finance minister Arun Jaitley on Monday hinted at the possibility that the government may soon bring cooking gas and real estate under the ambit of the goods and services tax (GST), to be followed by a similar move with regard to petrol, diesel and potable alcohol. “So far the mood of most states is not to include petrol and diesel in GST. I’m sure as the GST experience moves on, I think natural gas, real estate which includes land… these are areas which are to be brought in and then probably at some stage we will try for petrol and diesel and then of course potable alcohol,” Jaitley said, addressing a post-budget event organized by industry lobby Federation of Indian Chambers of Commerce and Industry (Ficci). Any such decision will need to be cleared by the GST Council which includes finance ministers of all states and the central government. Since the implementation of indirect tax on 1 July, the GST Council has been taking steps to cut tax rates on various items, reduce compliance difficulties and simplify processes under the regime. However, faced with opposition from many states, the GST Council has not been able to heed industry’s demands for keeping exclusions to a minimum. Worried about revenue loss, states are not in favour of inclusion of petrol, diesel, real estate and alcohol under GST. Only alcohol is constitutionally barred. The GST Council can bring all the other items into GST as and when there is a consensus without amending the Constitution. Jaitley assured the audience that sticking to the revised fiscal deficit target of 3.3% of GDP (gross domestic product) in 2018-19 will be much easier than in the current year, even with higher expenditure demand due to implementation of the mega health insurance scheme and hike in minimum support prices, owing to higher tax buoyancy and faster economic growth. “Hopefully, tax buoyancy will be higher next year. I do hope higher growth is back. We can look to the next couple of years to start reaping the benefits post the structural reforms,” he said. Jaitley said the fiscal slippage by 30 basis points in 2017-18, from 3.2% of GDP to 3.5% was statistical in nature. “When people comment on fiscal slippage in the current year, they conveniently forget the fact that it is 12 months of expenditure and only 11 months of GST. Next year, of course, the cycle will be completed and it will be 12 months of GST. The missing Rs36,000 crore revenue in the 12th month, that accounts for a significant part of the 30 basis points this year itself. The large part of the slippage is statistical in character because of absence of a month’s revenue,” he added. While under the old regime, indirect taxes like excise duty and service tax used to be paid in the month in which the transaction took place, under GST, businesses only pay taxes the following month. So for the current financial year, the March GST will be paid in April. The finance minister said several challenges got compounded in the current year. “Non-tax revenue had a setback from spectrum auction, lower public sector and Reserve Bank of India dividends. We covered that up significantly through higher disinvestment. One miss which we could not cover was that the accounting system changed to GST,” he added.